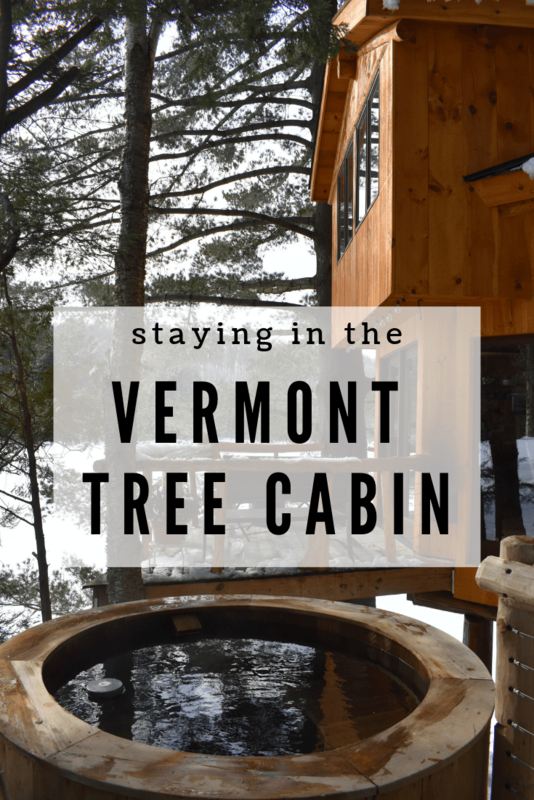 Deep in the woods of northern Vermont, just a stone’s throw from the Canadian border, there is a cabin perched in a tree. 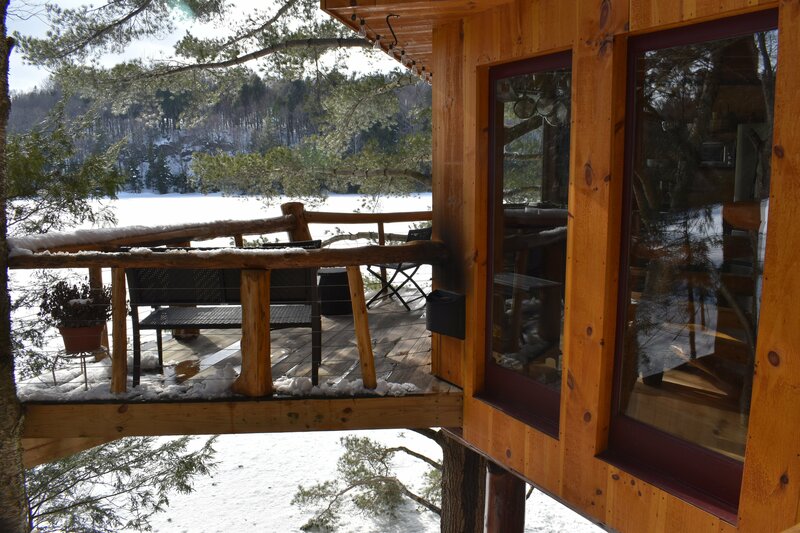 It is in the most idyllic setting amongst the tall pines overlooking a large pond. 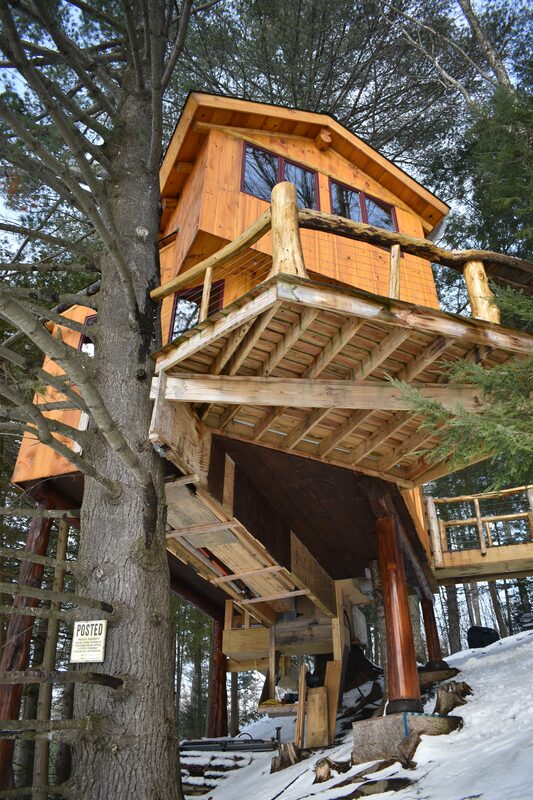 I have always been obsessed with tree houses and yearned to stay in one. My husband and I have been gifting experiences over gifts and this was his Christmas present. It was perfect timing, really. Things have been crazy at home and mercury retrograde has only exacerbated it all. It was about a 3.5 hour drive for us. 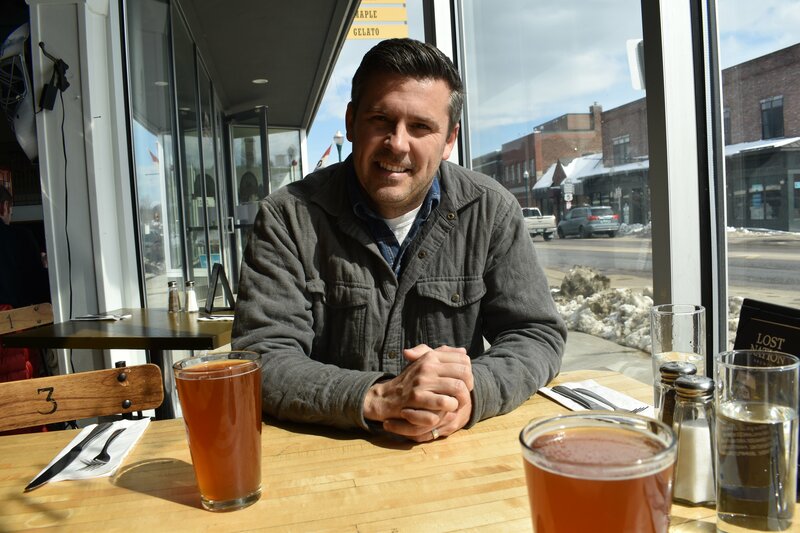 We made stops along the way to explore the Northeast Kingdom Scenic Byway. Check-in was at 4:00 and we were there right on time as to not miss any precious relaxation time. We were surprised by how much snow they still had and were glad we had the truck to get down the long winding driveway. Sometimes it’s hard to tell what you are going to get with Airbnb’s. The pictures looked great, but what if there was a neighbor right on top of us? We were relieved to see that there was not another house in sight. 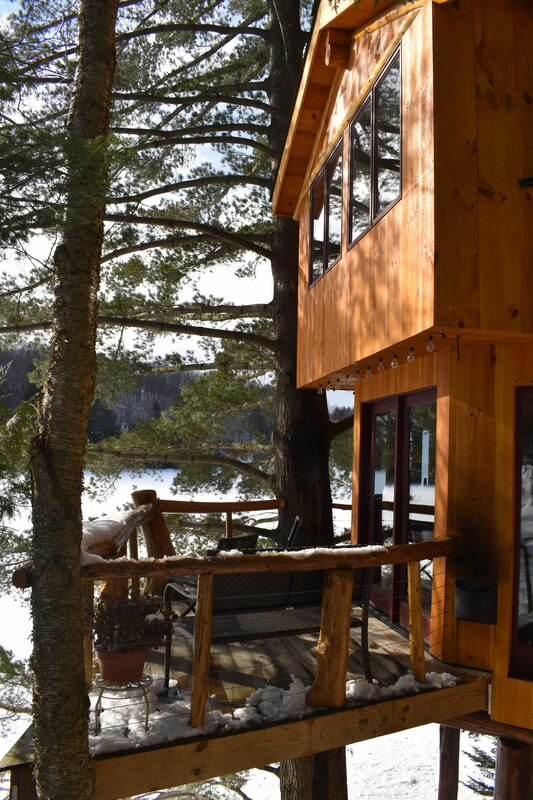 The cabin was better than we had even expected. We walked across a ramp to reach the door and inside was a small sitting area open to the kitchen. The kitchen had everything you needed without being cluttered. I wasn’t expecting a TV, let alone high-end stainless appliances. The bathroom and shower were off the sitting area as well as a door that led out to the deck. 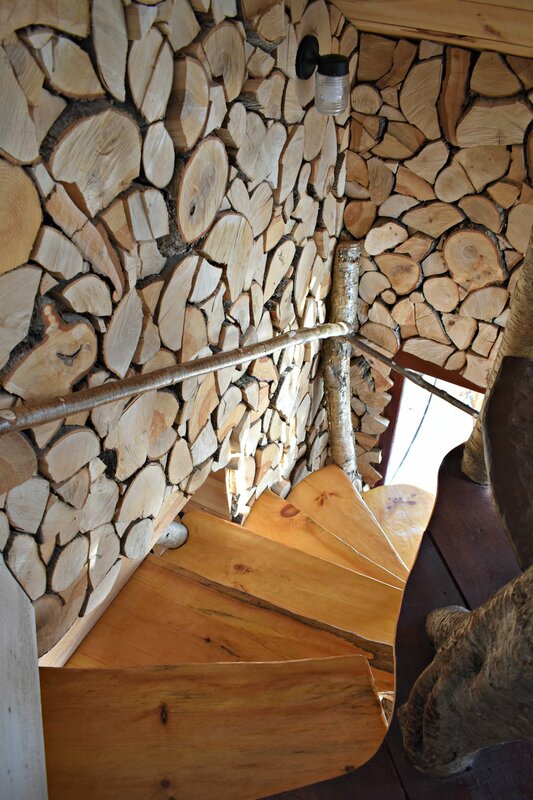 Walking up a spiral staircase of logs led us to the master bedroom. The view over the pond was spectacular. There was a television after all with a small DVD collection. The linens were nice and cozy to set up for a good ‘ol Netflix binge. 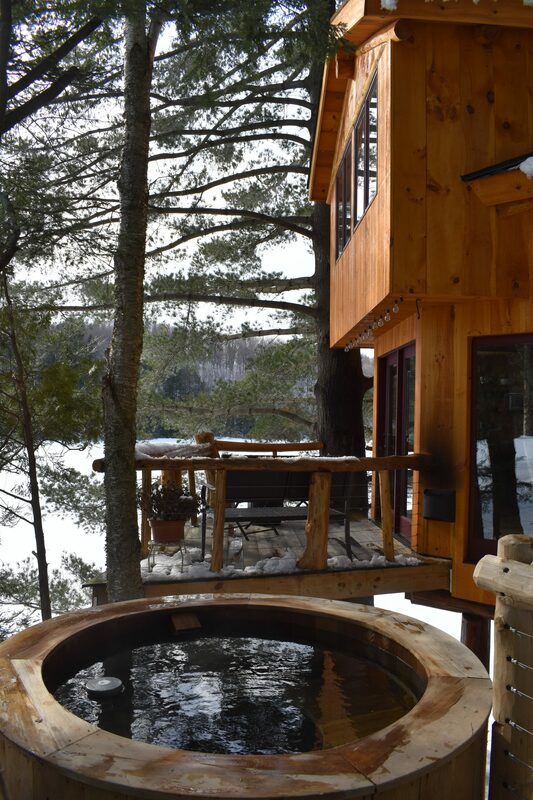 Back outside was the crown jewel of the property, the cedar hot tub. There is nothing better than sitting in a hot tub while snow flakes flutter down. It was a sunny but chilly March weekend and soaking in that tub was heavenly. I loved just looking at how the tree house was made because it was a quite a feat of engineering. It took the owner four years to build. I was so impressed with his craftsmanship and imagination. 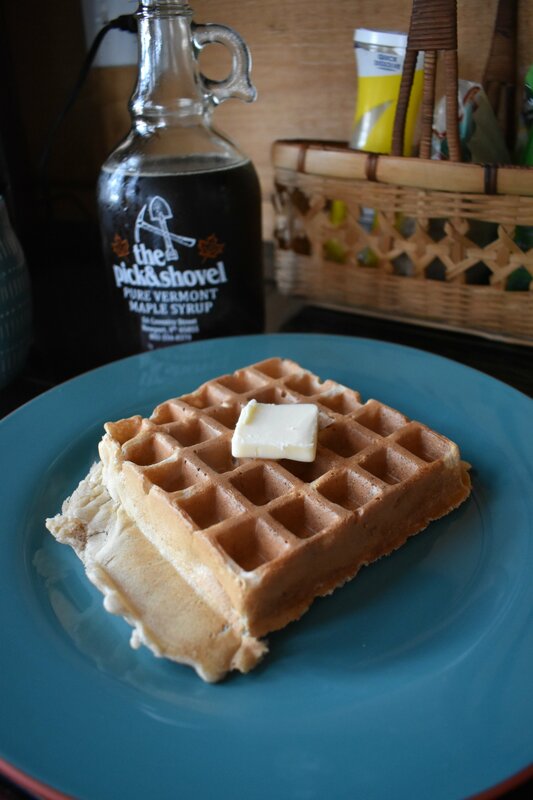 The following morning, we came down to find the ingredients for Belgian waffles and coffee. It was such a thoughtful touch by the owners. We had breakfast in bed while we watched more Netflix and then headed back to the hot tub. Let’s just say that returning back to reality was not an easy adjustment. This trip was just what we needed. Staying there was like medicine for the soul. It was my husband’s favorite trip and we hope to make it a yearly tradition. 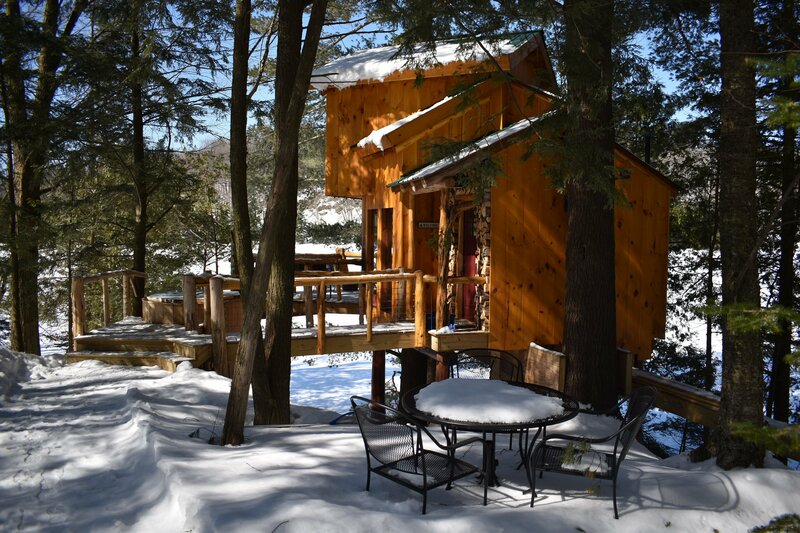 If you need a peaceful weekend away in a setting as serene as a painting, the Tree Cabin on Walker Pond is just what you have been dreaming of. If you are feeling more active than we were, there is excellent skiing at Jay Peak, just 20 minutes away or there is a canoe for summer use. To book, visit their Airbnb listing and be sure to use the this link to save up to $55.